I conducted training program on Interpersonal Skills and Positive Attitude on 29th November 2014 at PV Textiles (Jam), Samudrapur, Wardha. The program was conducted for middle Level Management employees. At the start of the training i pulled the participants out of their comfort zone by ice breaking activity. The participants got out of their comfort zone and got into a learning mode. They work in a monotonous work environment so my job was to bring them out of their work. Refresh them so that they could carry on their routine work with a new feeling. I trained them on why Interpersonal skills were important, importance of listening, importance of communication, conflict management and why to maintain a positive attitude towards work and life. They cooperated a lot with me and they did activities on team building and positive attitude. They broke their own inhibitions and did the activity with a very open heart. It really felt great to see them so much engrossed in each activity and trying to do their level best. For me all participants were the winner. They got very creative and participated very well. Through out the training program i maintained a light atmosphere so that maximum learning took place. I very well knew that they have a busy life and its all work work and only work so i wanted them to come out of that and shift their focus to some new learning. 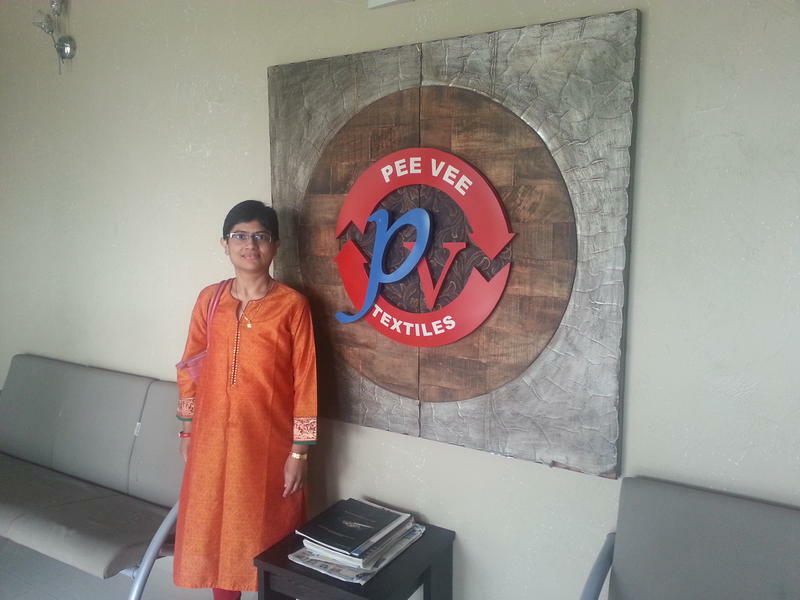 I thoroughly enjoyed conducting training program for the middle level management employees of PV Textiles.